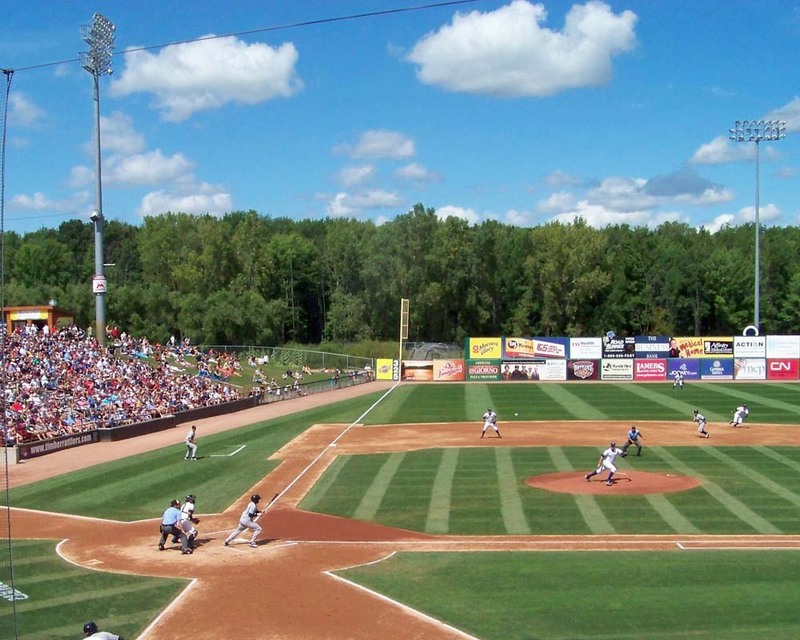 Fox Cities Stadium to host its final D-3 College World Series this week. For the second straight season, Wisconsin will not have any representation in the NCAA Division-3 College World Series. 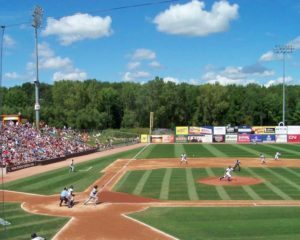 The 2018 D-3 CWS starts Friday morning at Fox Cities Stadium in Grand Chute. It’s the 19th and final season for the event in the Fox Cities. UW-Whitewater’s season came to an end as the Warhawks fell 6-3 to Rhodes (Tennessee) early Sunday and were then beaten 4-1 by Texas-Tyler to be eliminated in the Central Regional in Sauget, Illinois. 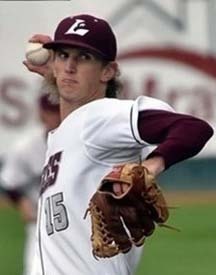 The Warhawks had already beaten Texas-Tyler 8-2 on Saturday. The Warhawks finished the season with a 33-8 record, claiming the schools 5th WIAC regular season title with a 20-4 record. In Duluth, Minnesota, UW-Oshkosh had two games to win just once, but fell to Concordia-Chicago 7-1 and 3-2, to fall short of the Duluth Regional title. Oshkosh finished the season 34-10, their best win total since 2007. Sunday started with six teams and it closed with just two remaining in the NCAA Division 3 College World Series field. Roanoke, Virginia eliminated Concordia-Chicago in the first game of the day, 10-3. North Central College of Illinois eliminated U-Mass/Boston in game two, 5-4. Roanoke was then eliminated in game 3, falling to Washington & Jefferson 8-1. Cal Lutheran closed out the day with a 10-8 win over North Central in an elimination game. It leaves Cal Lutheran and Washington & Jefferson to square off in the best-of-3 championship series with the first game set to get underway at 3 p.m. on Monday afternoon at Fox Cities Stadium. Caleb Boushley – Photo Courtesy of UW-La Crosse athletics. UW-La Crosse missed out on a chance to make the NCAA D-3 College World Series field for a third straight year, falling Monday 17-3 to Concordia-Chicago in the NCAA Midwest Regional at UW-Whitewater. It means the Wisconsin Intercollegiate Athletic Association (WIAC) will be left out of the D-3 College World Series for the first time since 2012. Concordia-Chicago pounded out 17 hits to improve to 33-11 and secure its first ever World Series berth. The Eagles also suffered a 14-0 loss to Concordia-Chicago in a winner’s bracket game on Sunday morning. They then beat St. Thomas in an elimination game Sunday night and would have needed to beat Concordia twice to win the Midwest Region Championship. Starter Caleb Boushley allowed seven runs and nine hits in six innings to take the loss. Boushley entered the game with a 9-2 record and a 1.48 ERA. The Eagles had their chances, but stranded 15 base runners for the game. Concordia-Chicago went 4-0 in the regional and outscored its opponents 46-8. Rain wiped out Day 3 of the NCAA Division III College Baseball World Series on Sunday at Fox Cities Stadium. The delay gave the UW-La Crosse Eagles a day of rest, following their 3-2, 12-inning win late Saturday night over Emory College. That game took 4 hours and 7 minutes to play and didn’t end until about 1 in the morning on Sunday. La Crosse (35-13) will play the last game of the day today against the winner of an elimination game. Action this morning is scheduled to start at 9am, weather permitting. A victory tonight would put La Crosse in the championship round. UW-Stevens Point opens play in the NCAA Div. 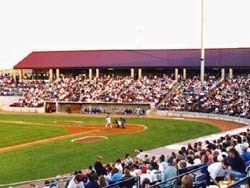 3 College World Series later today when they face Manchester University of Indiana at Appleton’s Fox Cities Stadium. The Pointers are making their 5th appearance in the World Series. Previously, they made the 8-team field in 1997, 2006, 2007 and 2010. Their best finish came in 2007, placing 5th. The Pointers enter the tournament ranked 18th in the ABCA ranking and 16th on the D3baseball.com poll.